There is not a more exquisite campus in the United States. 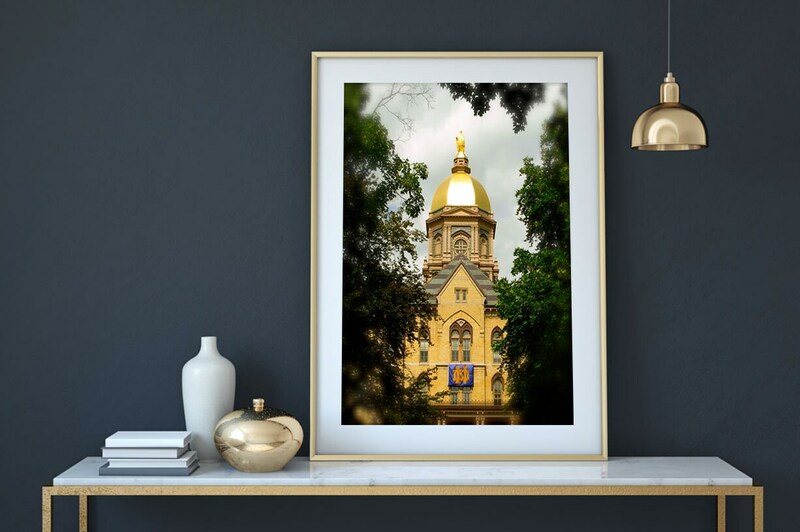 University of Notre Dame is rich is history and tradition. 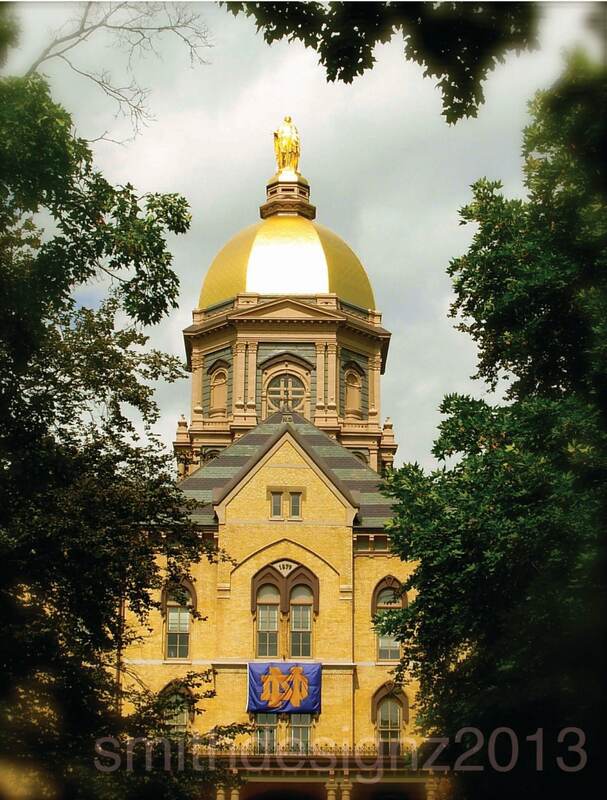 The Golden Dome is considered to be the center of that beauty by so many. 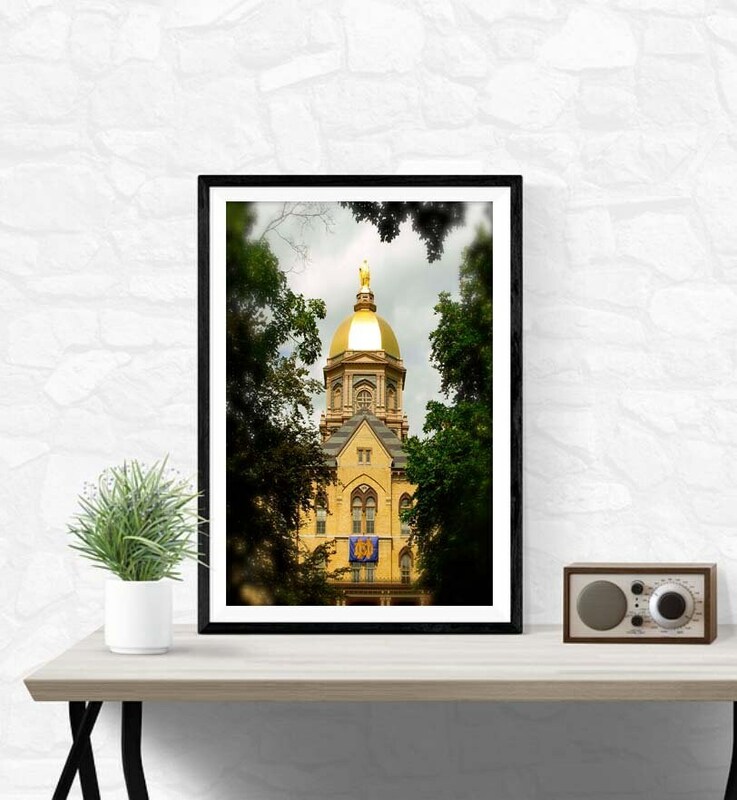 I took this beautiful photo of the Golden Dome while attending the Blue and Gold Spring Game in 2014. This image captures the detail of the gold, bricks, ND flag and live greenery on the grounds. The photo comes unframed so that my clients have the freedom to frame it however their taste desires. It is printed on high quality photo paper with a wonderful lustre coating. Use this photo to adorn your Man Cave, office, game room or living space. 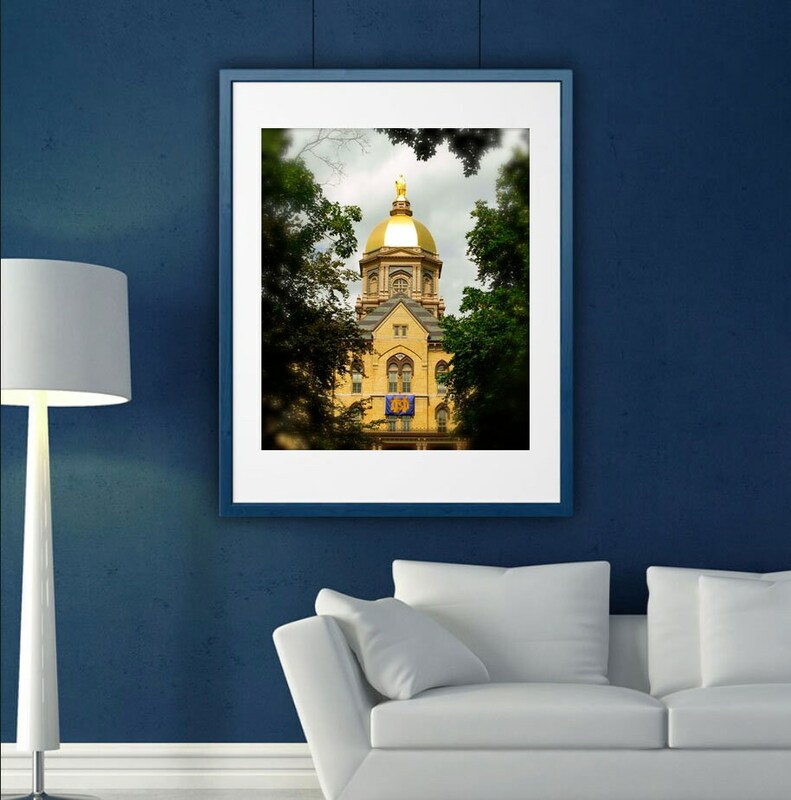 For the every weekend tailgater to the sophisticated cigar room, this photo will be an amazing focal piece for every Notre Dame fan. Other sizes as well as Wall Decals are also available - please message me to work on a custom order. Note: Due to cropping for certain sizes, some images may appear proportioned differently in print form. Beautiful! 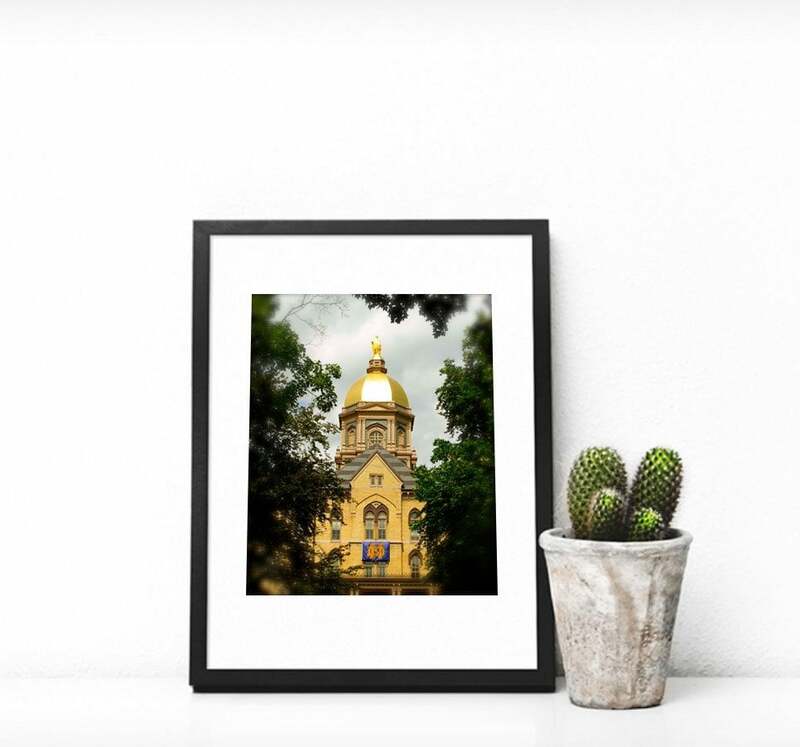 Just what I needed to compliment my son's sketches of the Golden Dome. Thank you..